Countries spend billions on their armed forces and much of this budget goes to defense in the form of huge submarine fleets. Take a look at the 10 largest (not strongest) submarine fleets in the world. Tied with both Turkey and Israel is the submarine fleet of South Korea. A fleet of 14 diesel-electric submarines is operated by The Republic of Korea Navy. 12 of the 14 are actually German designed of the Type 209 and 214 classes. The other two were manufactured in South Korea and are midget submarines. South Korea plans to construct the 214 domestically which would see an even bigger fleet of advanced submarines and an improved ranking in this list. Aside from Germany, Turkey is the biggest operator of German submarines. All 14 of Turkey’s submarines are diesel-electric boats of the Type 209 class. In fact, this particular submarine is one of the most exported. One of its many benefits is its high level of customisation to suit the needs of certain countries. The newest Type 209s in Turkey’s service cost some $290 million each. The Turkish Navy is planning on replacing the Type 209 with another German built submarine – the Type 214. The Japanese military was imposed with strict regulations following WWII. Even the country’s constitution states that Japan must have only defensive weaponry. The result is a small yet modern force. Japan’s submarine fleet consists of diesel-electric submarines. Their force is made up of two classes of modern submarine, the oldest of which was built in 1994. With regard to their newest submarines, they are the Soryu class and known for their very modern technology. India’s submarine force consists largely of diesel-electric submarines that were manufactured in Germany and Russia. India has taken steps to turn its submarine fleet to nuclear power. For example, they have leased a Russian Akula class nuclear attack submarine. India has also constructed its own ballistic missile submarine. Building nuclear submarines take a great deal of time and money so it is expected that diesel-electric submarines will make up their fleet for quite some time to come. With 31 submarines, Iran has the fifth largest submarine fleet on earth. The Islamic Republic of Iran Navy has invested a great deal of money on new surface ships and submarines in recent years. Much of their forces remain situated within a short range of the Persian Gulf. Notably, Iran has three diesel-electric boats of the Kilo class which were built by Russia in the 1990s. Much of their fleet is made up of sub-1200 ton submarines which are intended for operations in shallow coastal waters. There’s quite a size difference between the fleets in our top 4 and the rest of this list with Russia having more than twice as many submarines as Iran. Vladimir Putin has ensured that Russia’s forces have been modernized following poor funding following the Soviet Union’s collapse. Russia’s fleet includes some 30 nuclear attack submarines. However, the Russian navy does also have around 20 Kilo class diesel-electric boats. There is an on-going process of modernisation which could see Russia climb this list in the coming years. China’s military forces have undergone huge expansion and modernisation in recent decades. Forces on land, in the air and at sea have all benefited from this. The People’s Liberation Army Navy has sought to extend the operational abilities of its submarine force. The vast majority of the fleet is made up of diesel-electric submarines which have a primary aim of defending the country from attack. China also has a few modern nuclear attack submarines. Finally, a few ballistic missile submarines make up the expansive fleet. While the United States Navy is runner up on this list of the 10 largest submarine fleets in the world, it is arguably the most capable. While most of the countries on this list have fleets that are largely diesel-electric, the entire fleet of the US Navy is nuclear powered. The US has a large number of Los Angeles class attack submarine. In fact, around 40 of these are currently in service. Largely built between the 1970s and 1990s, these submarines cost some $1 billion each. 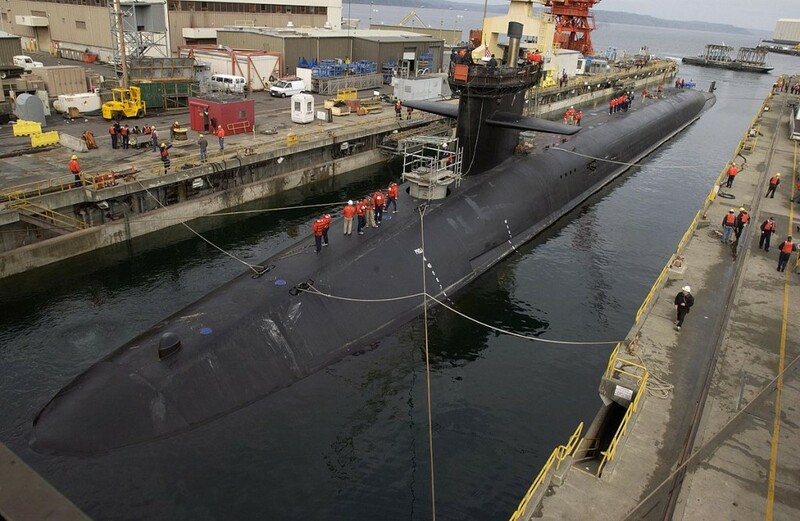 The USA has already begun to replace these with newer submarines in the form of the Virginia Class which come with a whopping $2.7 billion price tag. It is North Korea that takes the top spot in this list of the 10 largest submarine fleets in the world. All of the country’s submarines are diesel-electric and while they may have the biggest fleet, many of the submarines are smaller coastal submarines or rather old Soviet-era models. The smaller submarines in North Korea’s fleet are said to be very proficient in shallow waters. Don’t expect to North Korea to stay top of this list for too long – a lack of finance will most likely see the size of their fleet heavily reduced in years to come.